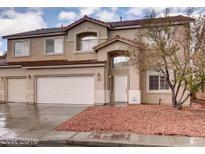 Below you can view all the homes for sale in the Gleneagles subdivision located in North Las Vegas Nevada. 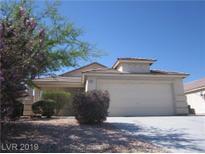 Listings in Gleneagles are updated daily from data we receive from the Las Vegas multiple listing service. To learn more about any of these homes or to receive custom notifications when a new property is listed for sale in Gleneagles, give us a call at 702-323-5963. Backyard with patio cover and a climate controlled storage. MLS#2089875. DH Capital Realty. ONE HSA HOME WARRANTY in place one year coverage. Home Security Water softner MLS#2088417. Realty ONE Group, Inc. There is also new carpet and fresh pain throughout. MLS#2086850. Marshall Stearns Real Estate. Must See too much to Mention! MLS#2085487. Executive Realty Services. Ceiling fans, 2' blinds with a big backyard. MLS#2085385. Landbank Realty. Please Come And Check It Out And See The Potencial. Sometimes Pictures Can Be Deceiving MLS#2082408. Simply Vegas. Stove, Microwave & 1 HVAC 1 yr old, ceiling fans in every room, sky lights in kitchen & master bath, Nest thermostats, surround sound & entire house is pre-wired for security cameras & more! ! MLS#2081092. Coldwell Banker Premier. kitchen has the stainless steel appliances. nice yard big lot MLS#2079497. BHHS Nevada Properties. What more can a solid buyer ask for? MLS#2053165. Century 21 Americana. There is an HOA with amenities. MLS#2049452. Next Level Realty LLC.